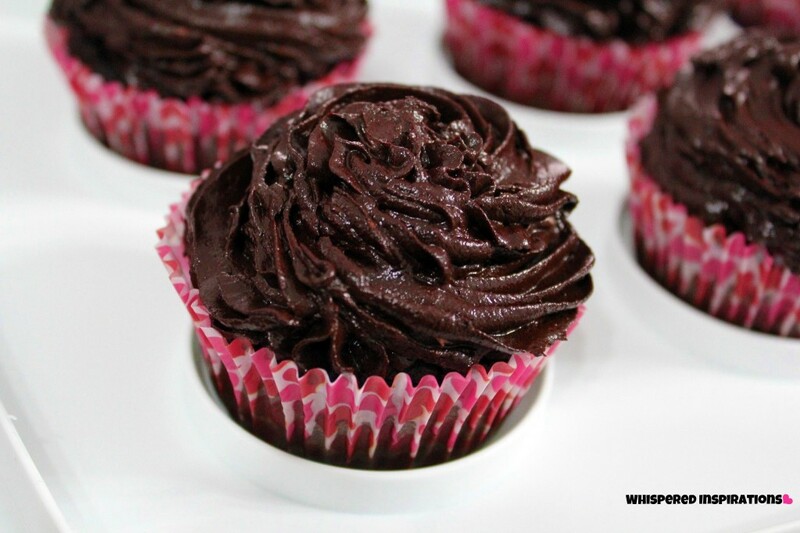 Chocolate deliciousness that is healthy for you. I made these cupcakes with the hopes of having a favorite dessert that is packed with nutrition and that my daughters would enjoy. One that isn’t full of empty calories, sugar, high fructose corn syrup and who knows what else! This recipe is made with absolutely NO flour, NO sugar and almost NO dairy! It also packs a nutritious punch of iron, protein and tastes really great! Your kids won’t know the difference, mine didn’t! Now, you may wonder how this is achievable, well–hold onto your hats folks because the main ingredient is BLACK BEANS! Before you automatically turn away from this, like I always tell my darling husband, “Don’t knock it til you try it,” and he always agrees. 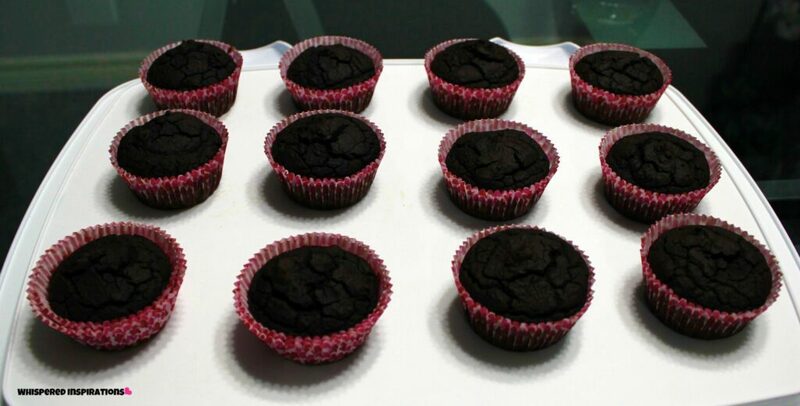 I do have to say that these cupcakes are moist but, are more dense than flour cakes. Not so fluffy but, still so chocolate-y! You ready to try them out? Step 1: Blend Those Beans! 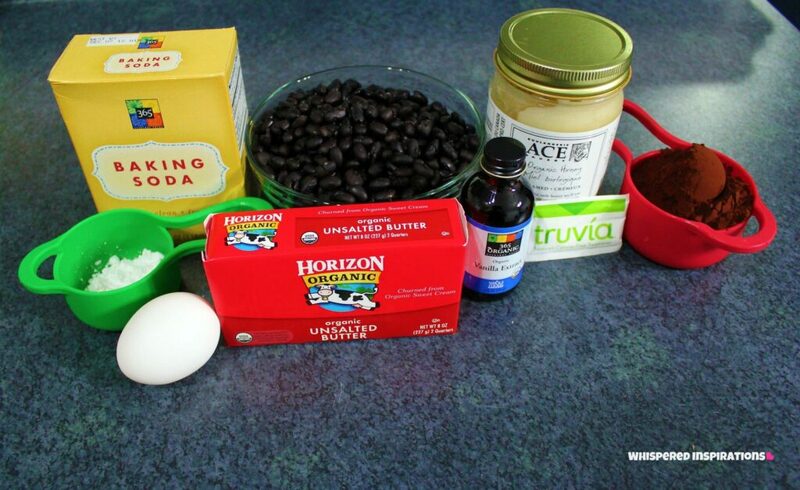 Drain beans and add to a blender, add 3 organic eggs, 1 TSP of organic vanilla extract and Stevia. Blend until there is absolutely no lumps. 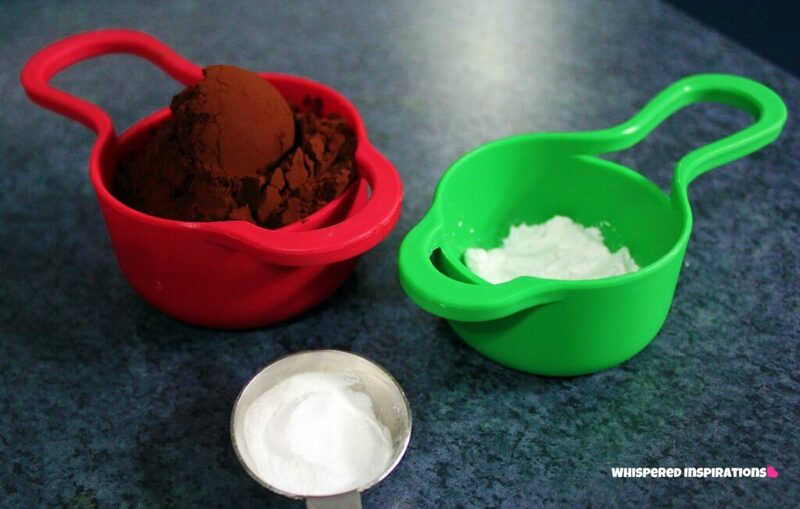 Add the bean mixture to a large mixing bowl and then mix in 1/2 cup of unsweetened cocoa powder, aluminum free baking soda and baking powder. Mix until smooth. Step 2: Mix in the Creaminess! Take the organic unsalted butter and the 2 TBSP of honey (I used creamed honey but, you can use any kind) and begin mashing or whisking until smooth. For best results, soften butter slightly then combine with honey. In a separate bowl whisk the remaining 2 eggs and add both butter and egg mixture to the large mixing bowl with your “batter”. 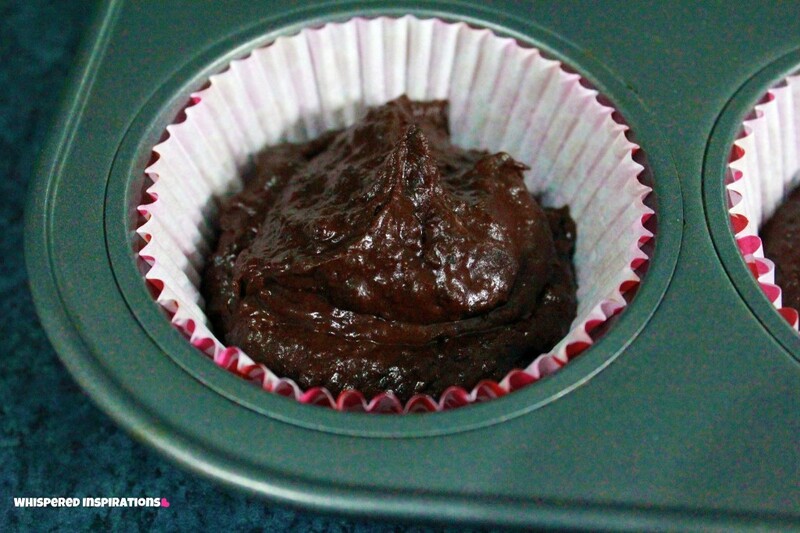 You should end up with a delicious smelling chocolate batter. Step 3: Scoop That Chocolate Love In! 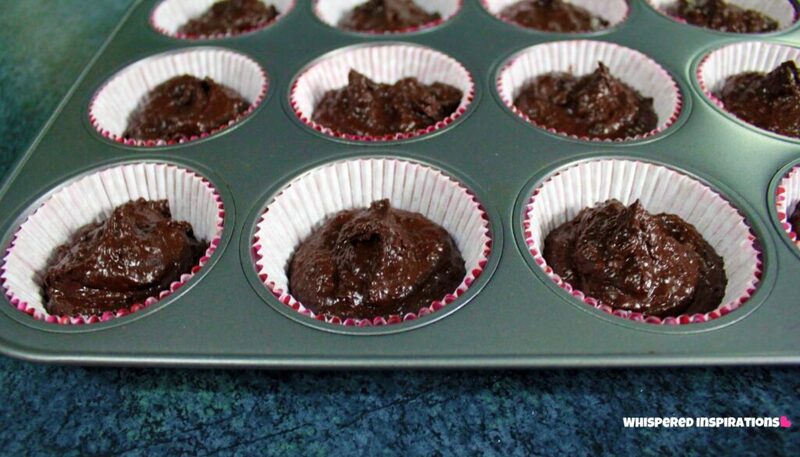 With a spoon, begin to scoop in batter into the cupcake cups. Normally I pour the batter in but, this batter is much thicker than most regular batters. Fill them generously but, be sure to leave a bit of space since it does rise slightly. Bake for roughly 13-15 minutes at 350 degrees. Time may vary depending on oven. Pole with a toothpick to check. Step 4: Let Cool. Sit Overnight. 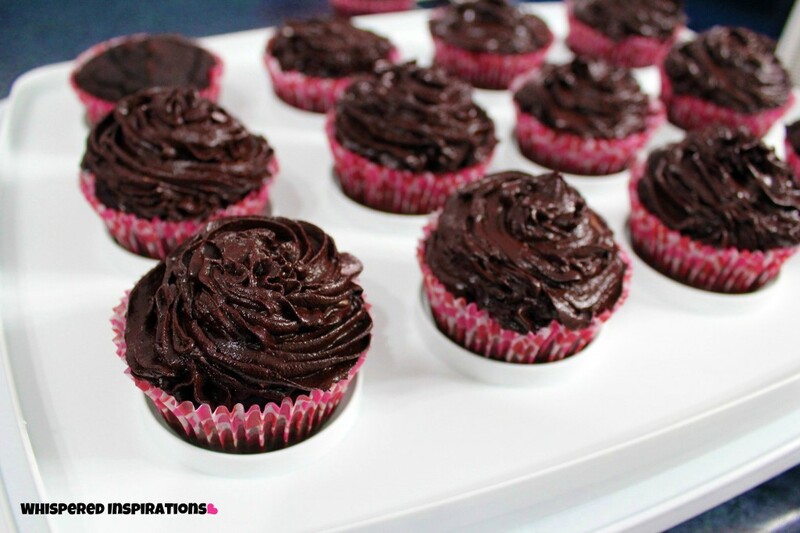 Set cupcakes aside and let cool. After, cover with a plastic top or plastic container and let them sit over night. I find this works wonders and makes them taste less beany, it also makes them a lot more moist. 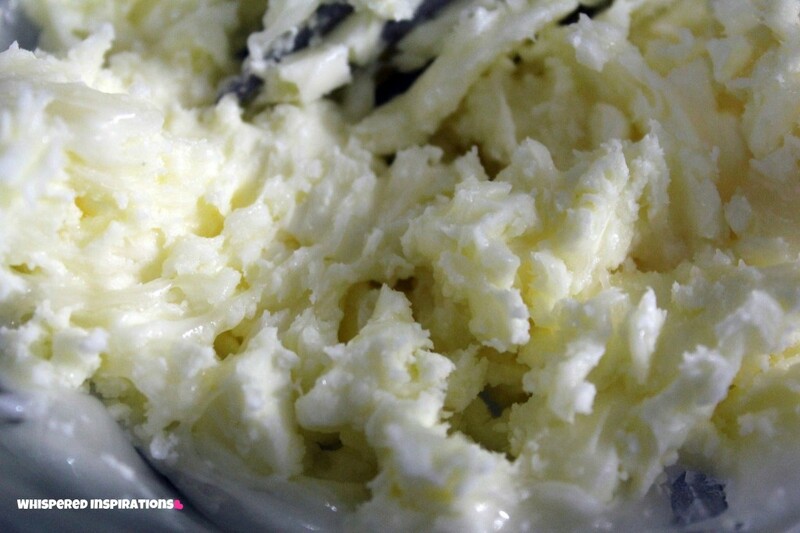 Soften butter, add TSP of organic vanilla extract and whisk until smooth. 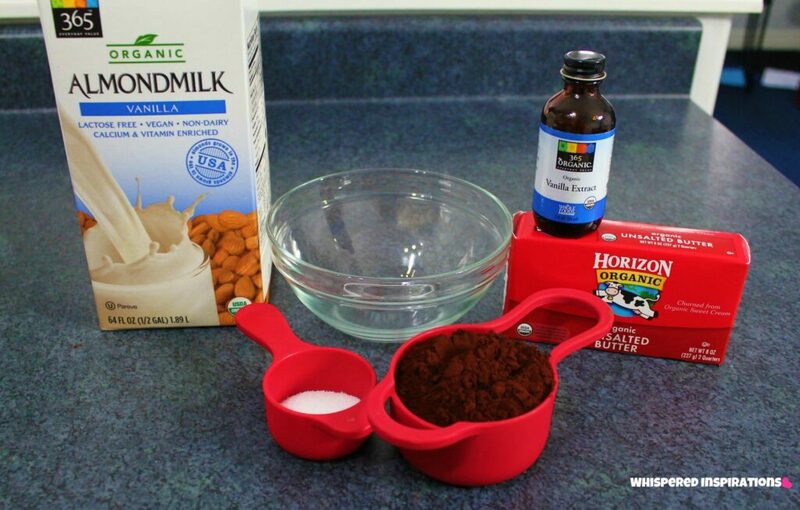 Add cocoa and Almond Milk gradually while mixing. That way it is always smooth and not clumpy. Add Stevia and mix until smooth. You may not use all of the milk until you’ve reached your desired consistency. I prefer to keep my frosting on the thicker side that way I can pipe with it much easier. Pipe to your hearts content! I chose a very simple technique but, go all out if you’d like! How did my most honest critics like my cupcakes? This is just her beginning. She didn’t even know the difference, at first she sort of noticed and then just went in on it. My oldest daughter said, “OMG Mom, these are DELICIOUS.” And because I’m such a great mom, I didn’t tell them that they were made out of beans. That’s Project V in full effect y’all! Thanks for stopping by and let me know how it goes if you do decide to try this recipe! Previous Post: « Get Moving with the Zigo Mango! omg. i need to make these! i am all for the whole 'deceptively delicious' thing!! Oh those pictures are beautiful! And a yummy recipe that has beans in them, who knew?! They look absolutely delicious! What a great alternative to have healthy ingredients!!! Thanks! Wish I could send you all some to try! Honestly, how am I supposed to read anything in this post when you open with a picture like that?? Seriously, I want you to answer that one! LOL, they do look pretty scrumptious I must say! These cupcakes are looking delicious & appealing. We're a gluten free family. So it'll be great for us. Thanks for sharing such a yummy recipe! These look great…thanks for sharing! How much stevia do you use? I see 1/4 of Stevia, but would this be 1/4 tsp? Thanks! Hi there Dorene, thanks for visiting! I'm sorry about that, it's supossed to be 1/4 cup of Stevia. Let me know how it goes! Thanks much! I've used the liquid Stevia in the past in small concentrated amounts, so I'm glad you told me 1/4 cup (I would have done 1/4 tsp!). These look delicious! Thank you again! My pleasure! I hope you enjoy! I used that amount but, it's up to you ultimately how sweet you want! Have a great weekend! Thanks for the recipe,she is so cute ! Thanks m\’dere, she has grown so much!